Despite the loss of 20,600 full time jobs, there was an overall increase of 12,000 jobs in the month of May this year. This was owing to an increase of 32,600 part time jobs according to the latest data released today by the Australian Bureau of Statistic’ (ABS). Unemployment fell by 0.2 per cent while the underemployment rate also fell by 0.2 per cent over the year to 8.5 per cent. The underemployment rate, which is the proportion of people who are working but would like to work more hours, remains below the peak of 8.7 per cent seen in 2017. “The latest data tells us that over the past year both the trend unemployment rate and underemployment rate declined by 0.2 per cent, resulting in the underutilisation rate declining 0.4 per cent to 13.9 per cent,” the Chief Economist for the ABS, Bruce Hockman, said. Labour market economist Callum Pickering is quoted today by ABC News – saying the figures showed conditions had cooled markedly in recent months. “At this stage we will be lucky to see employment growth of more than 150,000 people this year,” Mr Pickering, the Asia Pacific economist for the global job site Indeed, said. “Full time employment was again disappointing, as it has been throughout 2018, suggesting that the jobs that are being created are not necessarily the high-income roles that drive an economy forward,” Mr Pickering said. Managing Director for BUSY At Work Paul Miles echoed Mr Pickering’s concerns saying the drop in full time jobs was a real concern. “We know many of our small businesses are doing it tough but there are some excellent incentives available to help them grow. “Queensland’s state budget announcement this week has a focus on jobs. It was very encouraging to see the commitment of an extra $40 million for Business Development, an extension on payroll tax rebate for apprentices and Trainees, plus the continuation of the Back to Work South East Queensland program. “I encourage all businesses to consider employing an apprentice or trainee next time they hire. 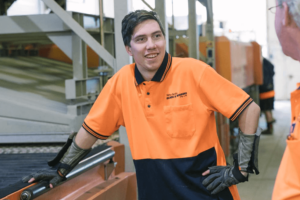 “Apprenticeships are a great way to ensure we have a skilled and knowledgeable labour force for our future plus it helps break down underemployment and gives businesses the help they need,” Mr Miles said. The largest increase in jobs was Victoria (up 22,100 persons), followed by Queensland (up 5,000 persons), and New South Wales (up 2,800 persons). The largest decrease was in Western Australia (down 1,900 persons). Queensland recorded the largest increase in the quarterly underemployment rate increasing 1.3 percentage points to 9.7 per cent, this was followed by Western Australia which increased by 0.6 percentage points to 9.3 per cent. More details are in the May 2018 issue of Labour Force, Australia (cat. no. 6202.0). In addition, further information, including regional labour market information, can be found in the upcoming May 2018 issue of Labour Force, Australia, Detailed – Electronic Delivery (cat. no. 6291.0.55.001), due for release on 21 June 2018. Labour Force, Australia, Detailed, Quarterly (cat. no. 6291.0.55.003), which includes employment by industry, is also due for release on 21 June.